Formulation is about having the broadest view of the product. This incorporates product composition, packaging, efficacy, safety, indication, aesthetics, intended use and market claims, then working out how to formulate it. Chemistry is the key. Personal care products such as skincare and haircare with a focus on cream, gel, ointment and foams. 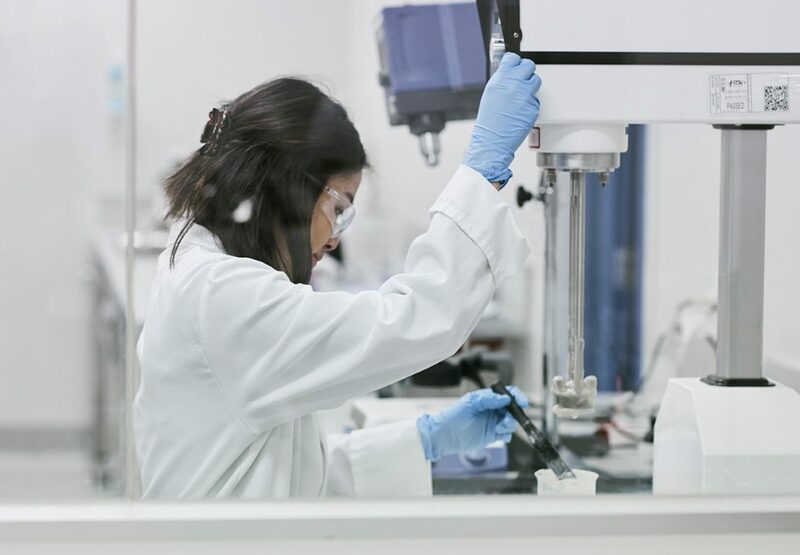 We analyse solution formulations using HPLC analytical methodology to test for drug potency and the physical properties for performance and stability. Formulations for US, EU, Australian and Asian markets are developed under the relevant guidelines and client target product profile. Our focus is on generating new IP and a new understanding of the active ingredient and formulation delivery to not only protect the formulation but to also add value for client. Personal care and cosmetic products are developed for many clients, where rapid turn around, novel product ideas and technologies are brought to the consumer. Formulytica also has its own personal care range available for out-license, private label product use or to adapt to meet client requirements. Veterinary formulations that treat skin diseases, including microbial infections have been developed for treating animals more effectively than current formulations. The challenge is the large amount of hair that is difficult to treat with conventional formulation vehicles. We can utilise our foam technology to make application easier. Apart from topical formulations Formulytica can also develop liquid oral and injectable formulations for veterinary use.